Peace Soak all your worries from the day away and relax. Peace Soak is designed to detox and soothe your whole body. Featuring Dead Sea and epsom salts, Peace Soak provides magical healing properties, though there is no real magic. It’s all about minerals and magnesium (that we are all usually lacking) that feed your aching body and soothe your soul. 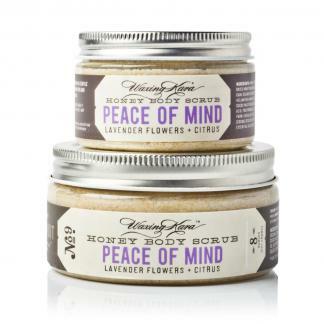 Peace Soak features hand-harvested lavender buds from our farm. 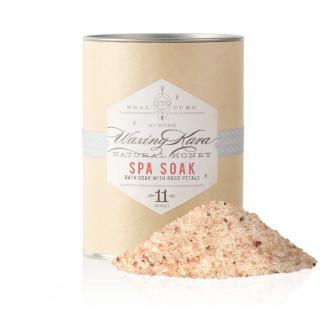 Soaking in Peace Soak helps restore balance, fortifying your well-being as you slide into relaxation. Sodium and potassium levels are well-kept secrets to both physical health and mental well-being. A far-reaching domino effect is ignited in the body when sodium and potassium levels are skewed. Mineral levels in the body effect fluid balance and kidney function, and enjoying a relaxing soak can help to restore those levels. Fragrance: Light and clean lavender. 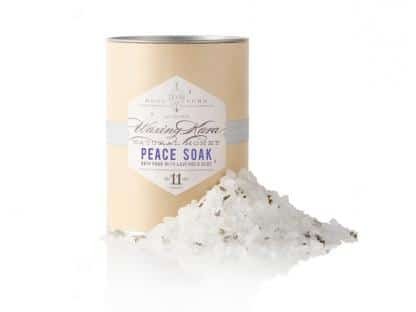 Directions: Run warm water in tub and melt 2-6 tablespoons (based on tub size) of Peace Soak crystals into bath water. Sit back, relax and soak in and relax. For best results, rinse in shower with cool water and towel dry to complete the detoxification process.